Dungeons and Dragons is the number one name in tabletop role-playing. Sure, there have been contenders over the years but no game has ever really been able to dethrone the king. One of the big reasons for this is that Dungeons and Dragons have always found ways to cater to multiple audiences. The sheer number of campaign settings and modules makes it possible to find new adventures that will make almost any player happy. The only issue, of course, is that there has always been a great deal of material to sort through on the way to the best of the best. While sticking to D&D adventures for 5th edition does narrow down the number of great modules significantly, it’s even better to have a guide to the good stuff. We’ve looked through both the mountain of official 5th Edition Dungeons and Dragons modules as well as some of the better-known third-party supplements in order to create a list of the best 5e modules for D&D. They range from reboots of older, classic D&D adventures to some awesome new settings, but they all have one thing in common – they’ll help you to run a better game of Dungeons and Dragons once you give them a try. Here’s our breakdown of some great D&D adventures for fifth edition campaigns, including both 3rd party and official modules. Enjoy! Best D&D Adventures for 5e? Here’s our pick of four must-have Dungeons & Dragons 5e adventures. The Underdark is one of those traditional D&D settings that are incredibly divisive. On one hand, you’ve got the elitists who hate anything that could remotely be related to a certain Dark Elf ranger, but one the other you have a legion of fans who are waiting in the wings to live out some of his adventures. This particular module doesn’t feature that Salvatore-penned character, but it does feature his homeland rather heavily – and it does so in the best way possible. 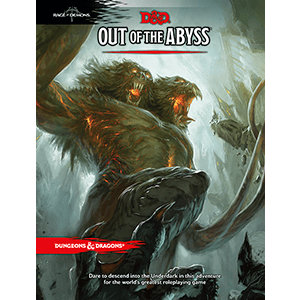 Out of the Abyss is a great trip into Menzoberranzan and the Underdark. It deftly sidesteps the desire to copy older adventures and instead creates something that feels a little more organic. The storyline here isn’t anything earth-shaking in terms of novelty, but it’s still fun to play and to run. The various characters are at least memorable, and the combat is solid enough that you’ll have fun. 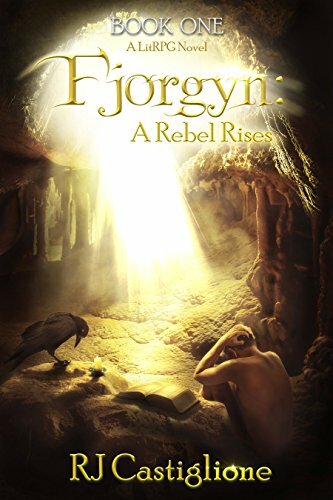 This is a good adventure for low-level parties and for anyone who wants to leave behind the surface world for a bit. It’s imperfect in some ways, but it’s fun enough that you won’t really notice. Give this one a shot for something different. Let’s not kid ourselves with the name here – this is the Temple of Elemental Evil retread that every good version of D&D needs to embrace. You really can’t go wrong with anything that sprang from Gygax, and the 5th Edition has one of the best versions of the story ever printed. 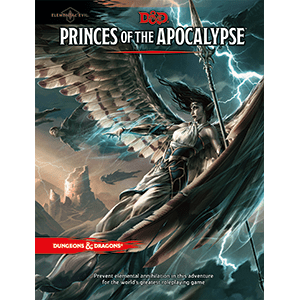 This classic adventure gets a huge update in Princes of the Apocalypse, with a basic story of good (or at least, not apocalyptic) versus evil that will draw in most players. One of the huge selling points of this game is the diversity of the setting. Players will encounter a huge variety of enemies across a vast number of settings during this adventure, which can take them across about fifteen levels in total. 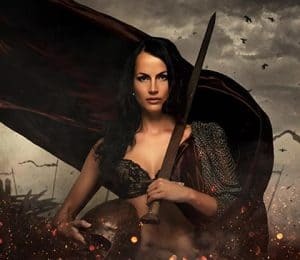 You won’t get bored running the same combat scenarios again and again, and your players will have to stay on their toes to survive the encounter. Of course, there’s more than combat here. This is a module that requires a bit of cleverness to finish, which is great for DMs who are tired of combat rolls. This module represents D&D at its best, so give it a try. Giants! This is the one with giants! That’s what your players are going to remember when they play this module, so go ahead and lean into it. You’re going to be playing a module that’s got some great rules for creating new types of giants, so you might as well enjoy it. Fortunately, the module also has a really solid structure that can help guide a new party through their early days. One of the big problems with 4th Edition was that there wasn’t nearly enough low-level content. 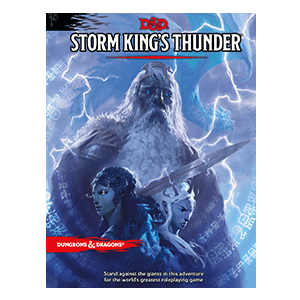 Storm King’s Thunder starts players off at the first level with a couple of easy adventures, but it will help guide them up through at least level 9. That’s a pretty huge amount of content for a classic D&D player, so expect to follow this particular module set for a long time. Even if you’re not totally interested in having a good path for guiding characters to a decent level, Storm King’s Thunder still delivers. It’s got a nice narrative and it brings players around some of the more famous areas of the Sword Coast. It’s a really good adventure to bring new players on, but it does still provide some twists for experienced crews. 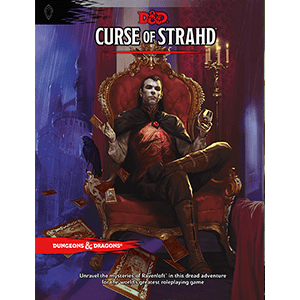 Curse of Strahd is an incredibly special D&D module for a number of reasons. If you’re a fan of the line, you’ve probably been waiting to play this one since it was announced. After all, this is one of the first real returns to Ravenloft in years. While there’s been a number of hints and homages, this is a real trip to one of the creepiest – and most beloved – settings in Dungeons and Dragons history. On a purely structural level, this module is gold. The encounters require more thought than you’d imagine and the story is actually pretty good. A good DM can take what’s in the module and craft something amazing and it even provides a number of good springboards for future adventures in the setting. The Tarokka card aspect is especially unique, giving this module a bit of flair that the others just can’t match. It’s an amazing experience for new and old players alike. This module works very well as either a unique adventure or a great throwback. If you’ve got old-school players, you’ll definitely draw a lot of interest just by mentioning the name. If your players are newer, though, they’re in for a treat when they visit the setting for the first time. Next up, a look at some of the many gems found in the realms of 3rd party Dungeons & Dragons adventures for 5th edition. If you’re going to go outside of the traditional D&D books for a module, you might as well go big. The Lost Lands: Borderland Provinces is a huge, detailed tome that honestly might as well be its own game. 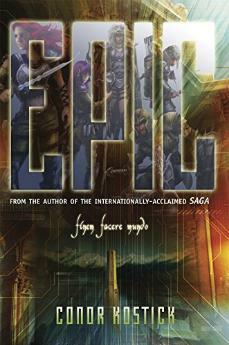 It’s got a totally different world than that seen in the Forgotten Realms, with its own history and unique cultures. It’s a lot to digest at first, but it’s a fun play-through. One of the great parts of old D&D was that it supported many worlds. While the various settings were winnowed away over time, it’s really nice to see something new pop up now. As it stands, the world of The Lost Lands is just as magical as you’d hope, with enough material to allow you to run years’ worth of adventures. It’s not quite what some players would expect, but it will give DMs everything they need to branch out. Fortunately, this Kickstarter product does live up to all the hype. It’s a full adventuring world that will give you something new to play around with when The Forgotten Realms start to feel a little dull. Remember when you could just throw together a dungeon and call it a day? That used to be one of the core parts of playing D&D before the game really started to stretch its legs. While dungeons are still part of the experience, there’s something that’s delightfully nostalgic about running through a mega-dungeon. That’s the Barrowmaze gives DMs and players – a chance to go on an old-school, loot-filled dungeon crawl. Barrowmaze makes up for its relative lack of depth with an awful lot of complexity. It’s the kind of mega-dungeon that takes multiple sessions to get through, preferably with players keeping careful notes on graph paper. It’s a huge throwback to AD&D, with a lot of what players loved about the older version present in the game. If you’re a fan of D&D modules, it should probably be noted that the art in this one is great. It features illustrations by some classic TSR artists, so you’ll really get the kind of visuals that you don’t see in modern books. Consider this one if you want to run a night of fun, if slightly dated, adventure for your party. Most modules are self-contained stories that require the DM to pull characters out of the usual adventures and to slot them into something new. Dragon Drop Adventures is a totally different animal, meant to work within existing campaigns. Every adventure within is made to be customized and placed in a campaign that’s already running. It’s easy to think of Dragon Drop Adventures as a cheap out for DMs, but the truth is that the module does a lot to bring life back to campaigns that are flagging. If you’re having an off week or you just want to play around with a new type of design, this is the perfect module for you. It’s also great for those DMs who need a little more time to stretch out their meta-plot. Dragon Drop Adventures might be filler, but it’s really good filler. All of the adventures have great mechanics and are fun to play. They can make for great palate cleansers between heavy adventures or good gateways into something new. This is one module that really needs to be held in reserve by anyone who is playing 5th Edition. Who doesn’t want to play in a world made famous by Critical Role? 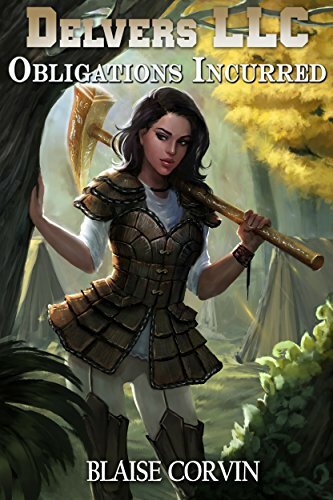 Long part of the show, Tal’Dorei is finally available to regular adventurers through this module. It’s another new setting that works well with 5th Edition Dungeons and Dragons, one that’s close enough to the vanilla setting that it can feel familiar but alien enough that it can give players a new passion for the game. 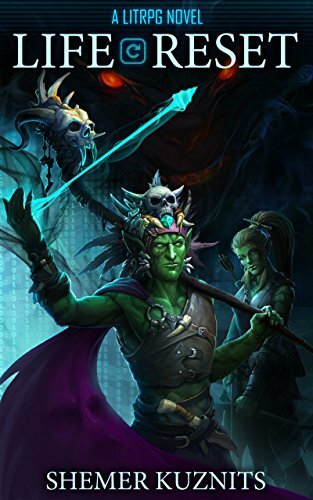 While the real audience for this book is fans of the show, it’s something that even DMs who are unfamiliar with Critical Role should look at. The world is great for those who want to move slightly away from classic D&D without totally abandoning the usual fantasy tropes. It’s also really useful for those who think they already know everything about a setting – the newness of Tal’Dorei can help to level the playing field between your various players. If you want to try out something new that you know your players haven’t experienced before, this is the module for you. Give the setting a try – you might find that it’s better for your group than Forgotten Realms. At the very least, you’ll get a new experience out of the module. Best Dungeons and Dragons Adventures for 5e? The “best D&D modules” listed above are just the tip of the iceberg when it comes to what 5th Edition D&D has to offer. These modules represent a combination of the best story-telling and game-play that the line has to offer. Whether your group is full of old-school purists or brand new players looking for a challenge, they’ll find something to love here. Give these adventures a shot if you really want to see what a D&D game can be. You won’t just be surprised – you’ll end up learning a lot more about how the game can be played. In the end, that’s what makes a really good module. They don’t just give you story ideas or cool encounters – they teach you to be a better DM or a better player. They give you hints about how encounters should be laid out, teach you how to construct puzzles, and give you chance to really put characters through their paces. A successful module should always lead to a desire to play more. You can string some of these modules into a longer campaign, or you can use almost any of them in your own homebrew settings. Give it a shot – you’ll be surprised by what you may find.